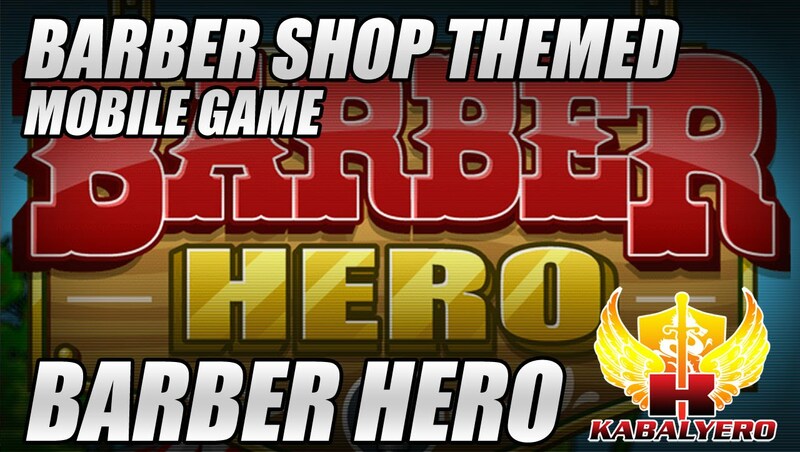 Barber Hero, Barber Shop Themed Mobile Game, By Kuyi Mobile - KABALYERO - PLAY, BLOG & EARN! Barber Hero is a Barber Shop themed mobile game and it was recently launched in iTunes and Google Play. Recently, I received an e-mail from someone named Events Team and the e-mail was about a new Filipino developed mobile game called Barber Hero. Barber Hero is basically a free-to-play Barber Shop themed mobile game developed by Kuyi Mobile. I got a chance to play the game and I found it very easy to play. The game revolves around cutting customer's hair and getting paid for it. Of course, keeping customers happy is also important because a business with unhappy or unsatisfied customers is doomed to fail. Anyway, I downloaded Barber Hero from Google Play and you can as well by checking out this link, http://www.kuyimobile.com/barberhero/.